This is the rarest and most daring strain created by the Fast Buds' team of botanists. 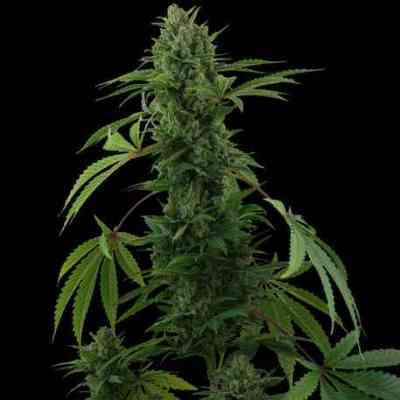 Californian Snow is a cross between an American Old School Hot California strain and a Canadian Ruderalis that they discovered in late 2013. 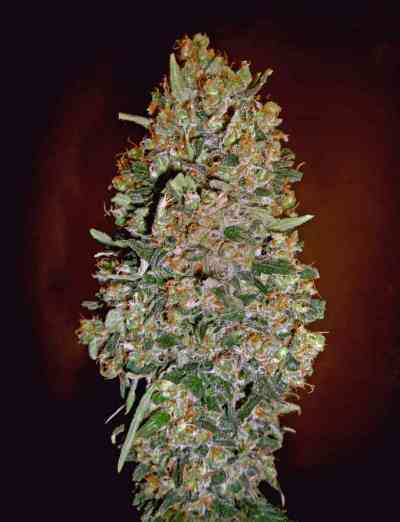 It is quite stable and displays a greater percentage of Sativa phenotypes, though it incorporates Indica genetics. The mature plant is thickly dusted with snow when at peak flowering. That's why it's named Californian Snow - the buds are so covered with resin they appear to be snowy like the summit of a snow-covered mountain that looms above a warm, sunny California valley. You'll be wishing you could be shreddin' the gnar on the main cola with your snowboard! It looks awesome bro! 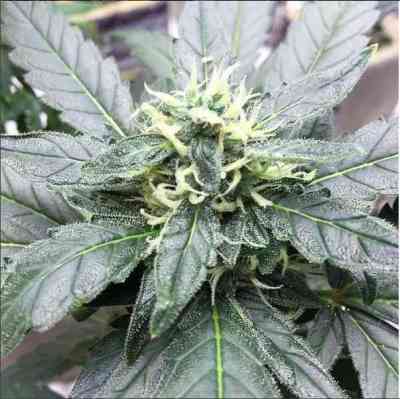 Taste: As for flavors, it's a really sweet strain, like a delectable slice of cake. It offers a range of sweet sensations with a bitter aftertaste, and citrus notes reminiscent of lime. It's like an apple pie with sour cream - truly impressive! Effect: When first consumed, it fully seizes the moment, then blasts forward into time, with the effects only lasting a half hour. It's like going downhill on your board full speed - quick and fleeting but unforgettable. Its effects are instantaneous - a thud on the body and a sweet cloud of candy in the brain. A paradise come true for those who want to see the snow. Before you know it you'll fall outside the window and into warm Cali in a t-shirt and a bathing suit. Growing: A 18/6 photoperiod will give exquisite results just 8 weeks from germination. 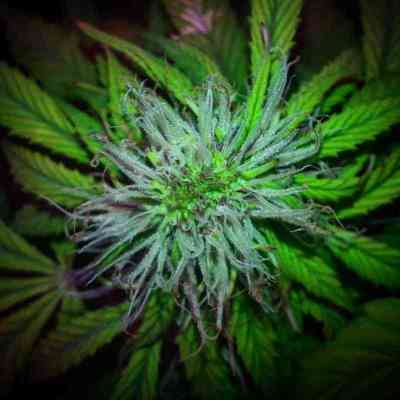 It is a nice and easy strain that will respond very well. Your harvest may offer about 250 grams per plant (9 oz), which makes it ideal for those looking for a very profitable option. Californian Snow's height will rarely exceed 130 cm (50 inches) while it usually stays at about 80 cm (30 inches), and it's suitable for both indoor and outdoor grows. But we recommend cultivation under HIDs. We've created this strain for marijuana growers who live in cold areas that experience very short summers. If that's you, this is a variety that you can start smoking during early winter. Rest assured it'll take you to nice warm places like sunny California. For outdoor grows in warm climates, you can reap four harvests in a single growing season. From the fourth week of flowering it begins to emanate lime and citrus aromas, so we recommend that you use carbon filters if growing indoors. Its THC content is a more than healthy 19%, and its CBD content is 1%. A worthy composition of time tested varieties currently enshrined as superb modern medicinal cannabis that's great for stress and anxiety.